I wanted to offer you a healthy but delicious option for your holiday table. 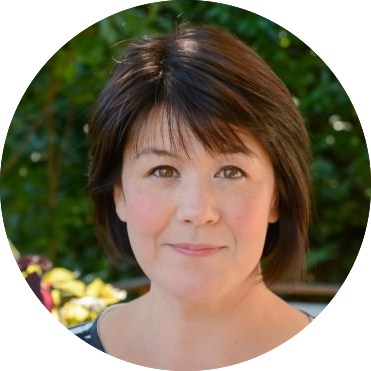 I love the flavors of Fall and all the delicious recipes they entail. The warm spicy and sweet taste of squash apples and pears make me want to start a fire, curl up with a good book and eat to my hearts content.The holidays are here and they bring lots of opportunity to indulge but it’s nice to have options for lighter fare to keep things in check. 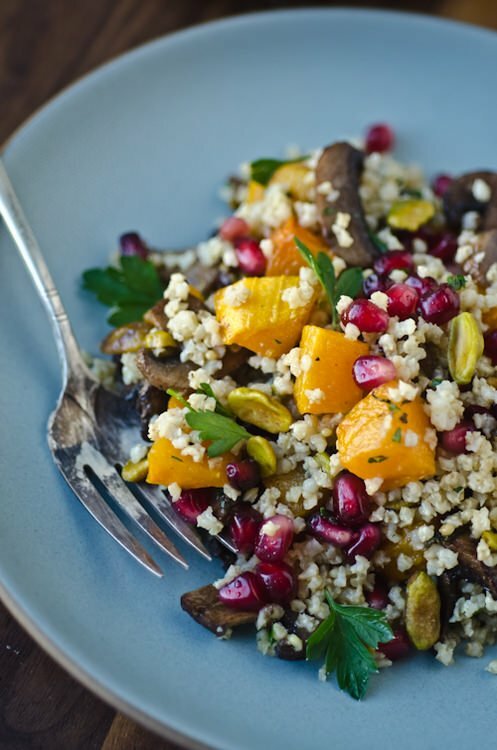 Rich earthy mushrooms, sweet butternut squash and tart pomegranates pair deliciously with the nutty flavor of millet. 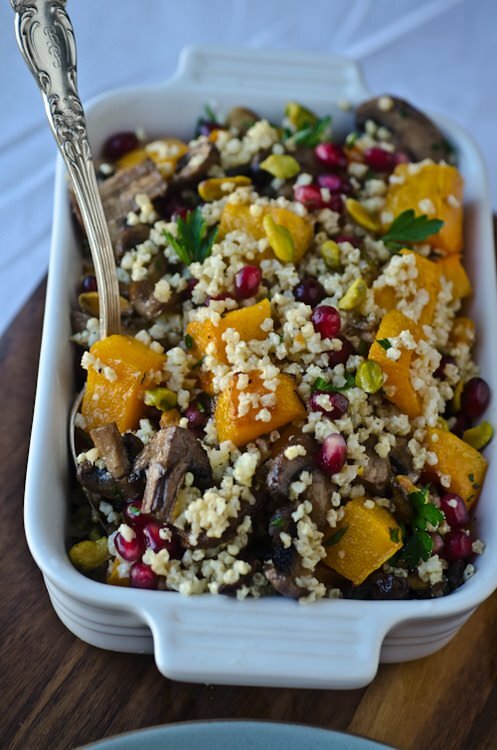 Millet is gluten-free so it’s a great alternative if you are cooking for someone that is gluten intolerant. Serve this for a healthy modern take on your usual stuffing, it might just start a new family tradition. I am submitting this recipe to the Yahoo Shine Supper Club so be sure to check out all the wonderful holiday recipes they have to offer! 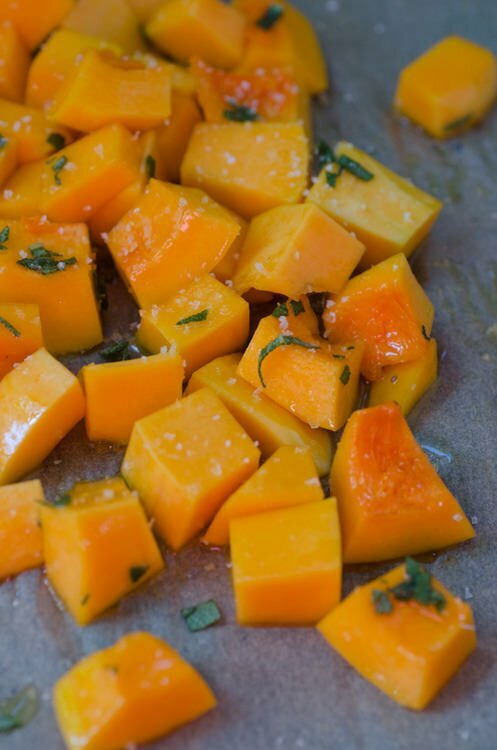 Pre-heat oven to 375 degrees.Place squash on a baking sheet, sprinkle with thesage and toss with 2 teaspoons of the olive oil and season with salt and pepper.Roast, stirring once or twice until tender 15-20 minutes. On a separate baking sheet, toss the mushrooms with 2 teaspoons olive oil and season with salt and pepper.Spread the mushrooms in a single layer and roast for 10 minutes. To prepare the millet bring 1 quart of water to a boil.Season the water generously with salt as you would for cooking pasta.Add the millet and cook for 13 minutes.Drain the millet into a fine sieve and then place the sieve back over the pot and let steam for an additional 10 minutes until fluffy and dry. 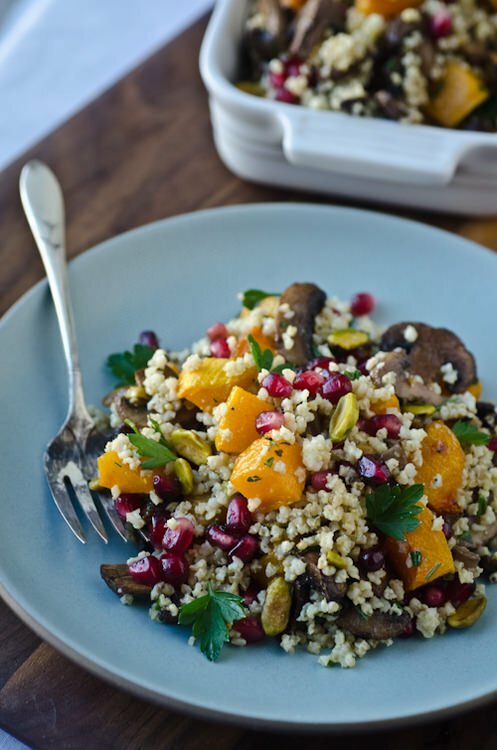 Place the millet in a large bowl and add the squash, mushrooms, parsley and pomegranate, drizzle the balsamic and remaining tablespoon of olive oil over the top and toss gently to combine.Sprinkle the pistachios over the top and serve. Oh my. What a beauty! I find colorful, healthy dishes like this are a sight for sore eyes right about now. This recipe was delicious!! We used dried sage instead of fresh, and kept most everything else the same. It’s a great light dinner dish!! I’m so glad you liked the recipe. Following package directions for grains gives you the best results. I’ll take a look at the recipe and see if the cooking instructions for the millet need to be updated. Thanks again for giving the recipe a try!